Hell, the cynic in me wonders if most of these teams know full well they'll never meet the release dates they propose and just do it because they think people will be less likely to pledge if they know they'll be waiting 4 or 5 years for their game. That’s where I’d put my money. Wasn’t Bloodstained already delayed once too? Yeah, it was delayed from last year. But I'll try to not derail this thread into yet another anti-Kickstarter rant on the internet, because honestly I really have no beef with Kickstarters. I keep my expectations in check and appreciate that most of these games and projects genuinely would not have existed if it wasn't for the platform (except dodgy crap like Atari trying to crowdfund a Rollercoaster Tycoon port on the Switch). Other than that I don't have a big outlook. Wolfenstein got delayed. Street Fighter is May. Metroid is late/later this year. And I missed out on Lost Sphear so I'm waiting on another run of physical games at the S-E website. I do want ACA Punchout, Balloon Fight, and maybe a few others of those when they hit. I know it's kind of not in the spirit, but my year of anticipation is to me fair game - PC Engine. Never had one. I had a Duo that ran the small and mostly average to terrible HuCards. It's an all new experience and new system to me even if it is almost 30 years old. It makes me want to play games again, so I anticipate anything I well research and pick off online somehow in a nice lot or stand alone from multiple resources. How has Wolfenstein been delayed? It's never had a release date and has always been scheduled for 'some time in 2018'. I pre-ordered Railway Empire, so I'm looking forward to tomorrow. The reviews of Monster Hunter: World are great, but all the videos I've watched... eh, I'm not sure it's for me. I don't know. I'm less excited. Oh man, between this and Railway Empire it looks like 2018 Q1 is all about sims for me. Everything's coming up noise. as far as I can tell there will be a physical release for Surviving Mars in Europe, but not the US. So I may be pre-ordering from Play Asia. 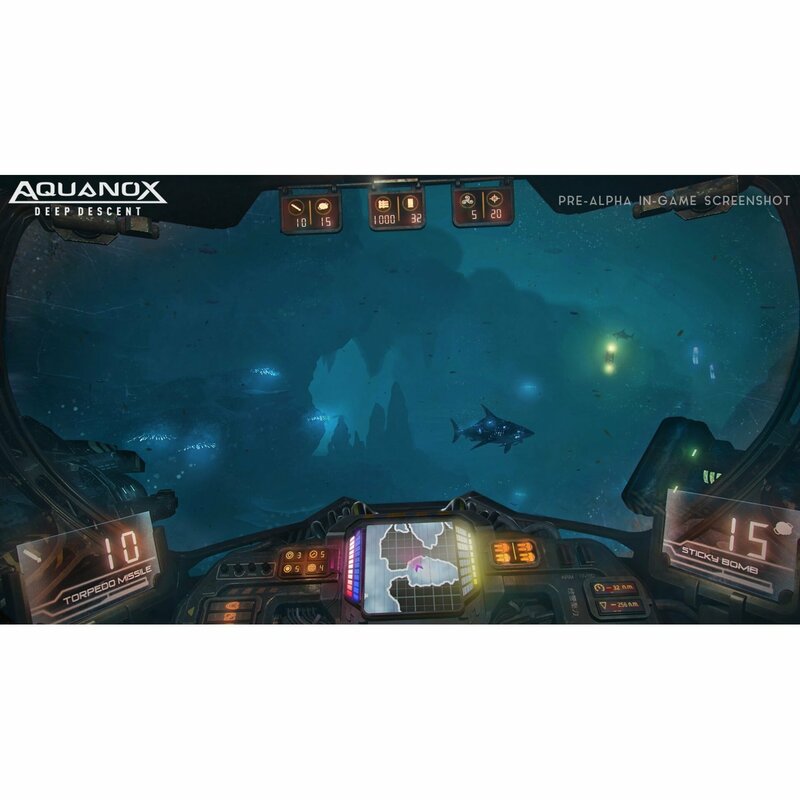 I also was reminded about Aquanox: Deep Descent which will be out sometime this year, and may also get a Europe-only physical release. I'd also mention that while these are not new games, I'm very excited about the Street Fighter and Kunio-kun collections coming out this year. my copy of Railway Empire arrived yesterday. It came with a nice manual, poster, and code for a digital soundtrack. Unfortunately a flooded basement took up most of my night so I didn't have much time to try to actually play the damn thing. I did load it up and got to see how pretty everything looks. It looks like it'll be worth playing through the tutorial stuff to get the hang of the controls. Oh! And look, apparently Surviving Mars IS coming out in the US on physical media. Still waiting for Shenmue 3. Be happy with just an HD remix of 1 and 2. I've had my eye on this for a while, and I think even had a beta key but never actually tried it. Anyway, it's out now so I'll be playing. It's free if anyone else is interested. I know it's on Xbox One, and PC... not sure about other platforms. “Hearthstone and X-Com combine” - PCGamesN Collectible card games and turn-based strategy collide in Hand of the Gods! Wage divine war by summoning the Gods to a full 3D battlefield. Move your forces into position, then unleash divine powers to defeat your foes. Can you Command the Gods? FREE-TO-PLAY It’s free to play Hand of the Gods – and we’ll give you 4 Core Card Packs to open FREE when you finish the tutorial.